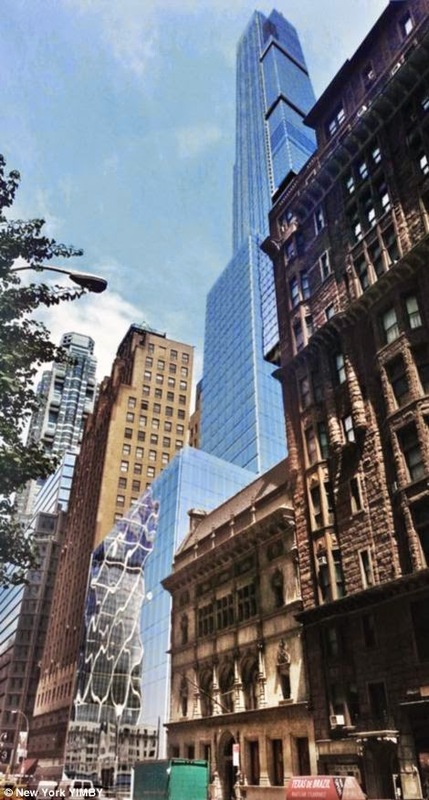 A new skyscraper is going up in midtown Manhattan which will be the tallest residential tower in the world and the the fifth tallest building in the world. 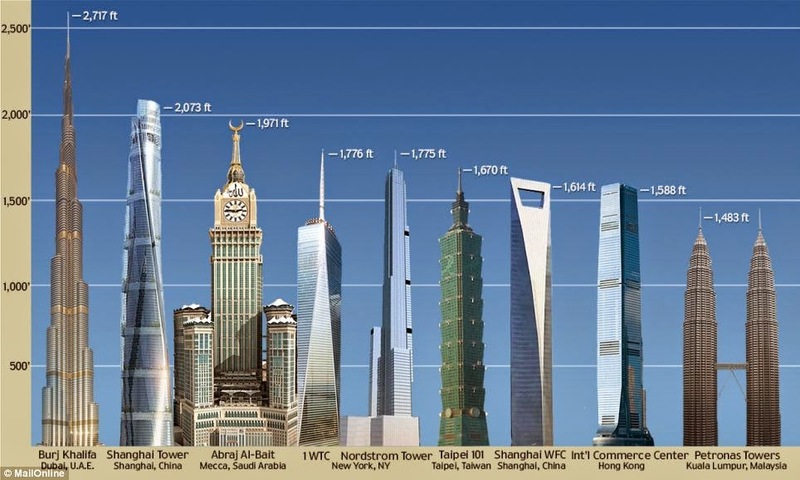 It's spire will top out at 1775 ft, just a foot lower than 1WTC but the actual roof height will be 1479 ft versus WTC's 1368 ft. 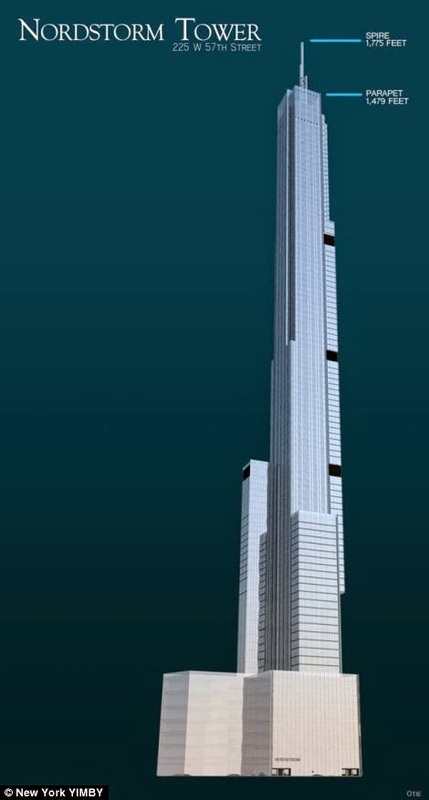 The building, with an estimated completion date in 2018 is a super-slim, super-tall, tiered skyscraper. The first seven floors will house a Nordstrom's store and the remainder of the building will residences. The building was designed by Adrian Smith + Gordon Gill Architecture, the firm responsible for Dubai's massive Burj Khalifa which is the tallest building in the world. 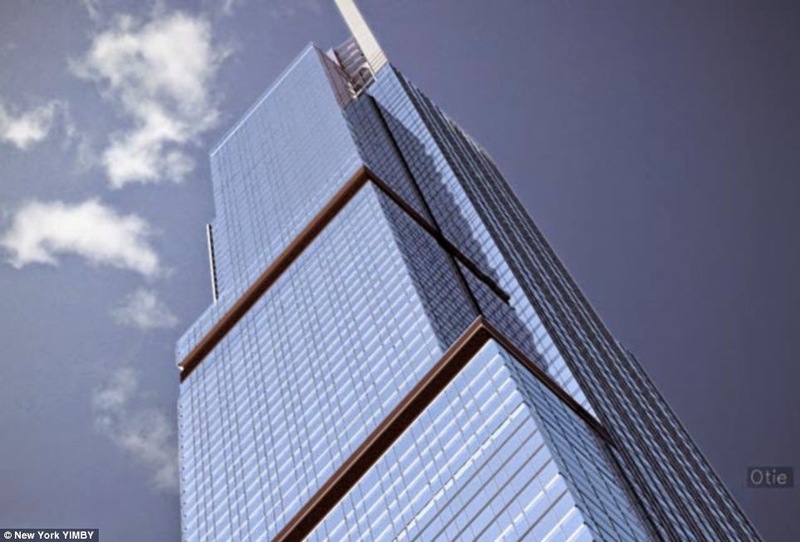 This building joins another of new proposed super tall towers in NYC. Exciting.